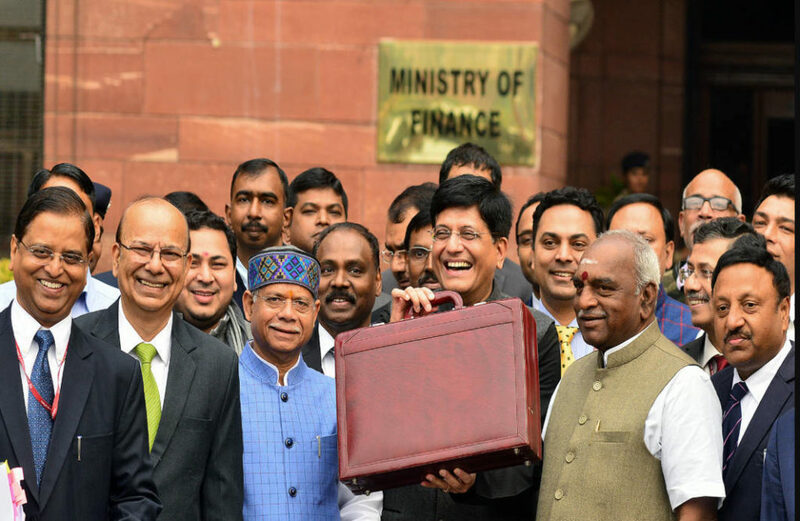 On the 1st of February, 2019, the Interim Budget of India, for the financial year 2019-20 was announced in the Union Legislature. Our honorable Finance Minister, Mr. Piyush Goyal, who is a Chartered Accountant by qualification, gave the budget speech, which lasted for around two hours, where a plethora of points were covered. If you were at home while the budget was announced, you might have got the privilege to watch it live on television. Anyways, I was out on the street when the budget was broadcasted live. And therefore, unfortunately, I missed it. But subsequently, I watched the same on YouTube. A Union Budget does cover plenty of pointers out of which only a few are those which we, as an individual, can relate with ourselves. This year budget has famously talked about taxation, agriculture, health industry and many other key aspects of our country’s economy. In this article, we are certainly not going to discuss the entire budget as a whole. Rather, we shall talk a few selective crucial points which you, as an investor, need to know in order to manage your personal finance in the upcoming fiscal year for which this budget will be applicable. Firstly, let me tell you that the Income Tax slabs which were for the earlier financial year will remain the same for the FY 2019-20. In other words, there is no change in the tax slab for the people. However, the tax rebate under section 87A has been made applicable for an individual having total income up to Rs. 5 lakhs, (where the previously applicable limit was Rs. 3.5 lakhs). The tax rebate limit for the ongoing financial year is Rs. 2,500. Nonetheless, the maximum limit of this tax rebate has been raised to Rs 12,500. Therefore, as an individual taxpayer, if you have annual taxable income up to Rs 5 lakh, it won’t attract any income tax. Note: Currently, the net income falling within Rs 2.5 lakh and Rs 5 lakh is taxed by the Indian Government at the rate of 5%. Considering this tax rebate, even if your annual gross income goes up to an amount of Rs 6.5 lakh, you won’t require to pay any tax on the same, provided you have made investments in the instruments prescribed u/s Section 80C of the said Act. Quick Note: Under section 80C, a deduction of Rs 1,50,000 can be claimed from your total income by investing in a few tax-deductable investment options like LIC, PPF, Mediclaim, incurred towards tuition fees etc. 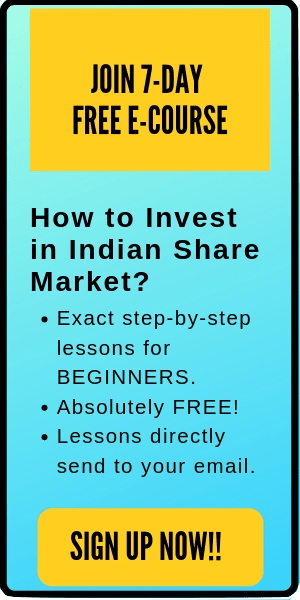 This can help you to reduce your total taxable income by up to 1.5 lakhs. However, if your taxable income exceeds Rs 5 lakh (and you have not made any investment in tax saving instruments u/s 80c), then, unfortunately, you won’t get any rebate in Income Tax. 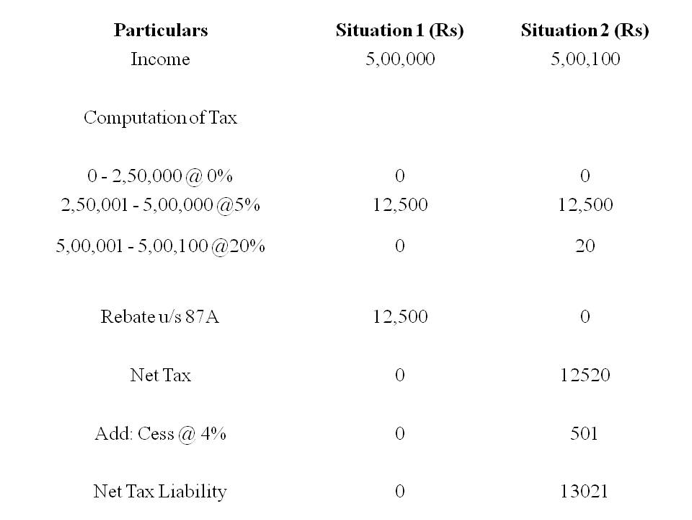 The table shared below is an example which can help you understand what our honorable Finance Minister has tried to say with respect to the new income tax rebate clause. As announced in the interim budget, you will not be taxed by the Indian Government on the notional rent of the second self-occupied house property. Therefore, here the key takeaway is that exemption is made allowable up to two self-occupied house properties. This exemption u/s Section 54 of the Income Tax Act, 1961 will now be available on your second house property but it has come with a proviso. Your capital gains should either be less than or equal to Rs. 2 crores. Anyways, this benefit can to be availed by you only once in your lifetime. (Read more here). Presently, if your interest earning on Post Office Savings and Bank Deposits used to cross Rs 10,000, TDS u/s 194A used to get attracted. However, the proposed budget has raised the limit from Rs 10,000 to Rs 40,000. In case of senior citizens, the limit has been increased to Rs 50,000. This proposal will surely benefit the individuals who are highly dependent on the interest income from their deposits interest earned on savings deposits, fixed deposits, as well as other deposit schemes in banks and post offices. In case you are a salaried person, previously you used to get Standard Deduction of Rs 40,000. 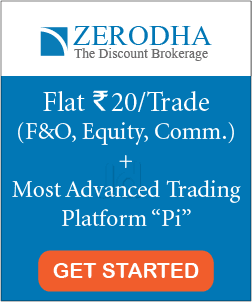 Now, this figure has been increased to Rs 50,000 which is, of course, going to benefit you financially. Also read: What are the capital gain taxes on share in India? This Interim Budget will become final unless a new Government comes into power after the Lok Sabha election which is to take place in a few months. However, if indeed a new Government comes into the picture, then this Interim Budget will cease to exist. Such new Government will frame a different Union Budget which will govern the Financial Year 2019-20 in India. Since the day this Interim Budget was announced, it has created a plethora of confusions on some specific aspects of the budget among the residents in our nation. Out of all such confusions the clause related to rebate u/s 87A has so far seemed to be the most difficult and weird for the majority of the Indians to decode. This is again needed to be said that the tax slab has not been changed at all. Every February, the new Finance Act (i.e. Union Budget) is declared by the Central Government of India. In every occasion, the budget brings new and/or amended clauses with it which subsequently makes the Indian taxpayers feel puzzled. Therefore, it is expected that even this budget will become clear among the people in India within the next few weeks. There are people who have shared their negative feedbacks with respect to this budget. On the other side, many people are saying that this is one of the best budgets that India has witnessed since its independence. They have also added that this budget is probably the best budget that our current Government, formed by BJP (Bharatiya Janata Party), has come up with within its current five years tenure.